A Franklin teen was critically injured after he fell from a moving vehicle, early this morning, in the Franklin Green subdivision. Officers were summoned to Brimstead Drive at 12:15 a.m. after the victim fell off of a car being driven by 19-year-old Seth Christian Goering. The victim was rushed to Nashville’s Vanderbilt Medical Center where he is in critical condition. Investigating officers determined that the driver, Goering, was impaired and arrested him. Goering, charged with DUI, Reckless Endangerment, Drug Possession, and Possession of Drug Paraphernalia, is free on the $22,500 bond set by the Magistrate. 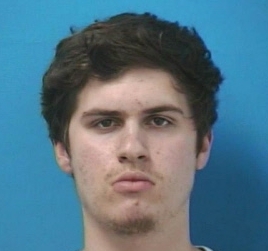 He is due in court 06/22/2017 at 1:00 p.m.
Franklin Police are asking parents with teenagers to talk with them about this incident to stress the dangers of underage drinking, drunk driving, and the improper use of motor vehicles.